P.K. Subban and his brother Malcolm are both through to the second round of the Stanley Cup Playoffs. Their father Karl is thrilled and a little torn. 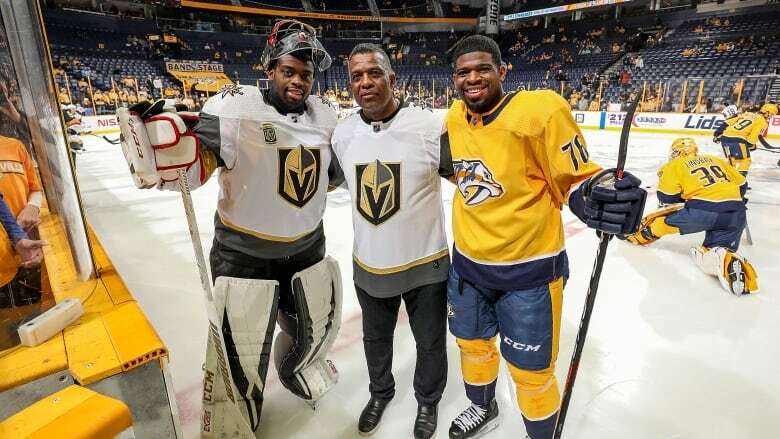 For Karl Subban, this year's Stanley Cup playoffs are a family affair. The former Toronto elementary school principal and author has his sights firmly on the ice, as two of his sons are still in the running for the NHL's top prize. P.K. Subban's Nashville Predators remain gripped in a tight series against the Winnipeg Jets. Subban is one of the NHL's top players, so he gets a lot of attention. 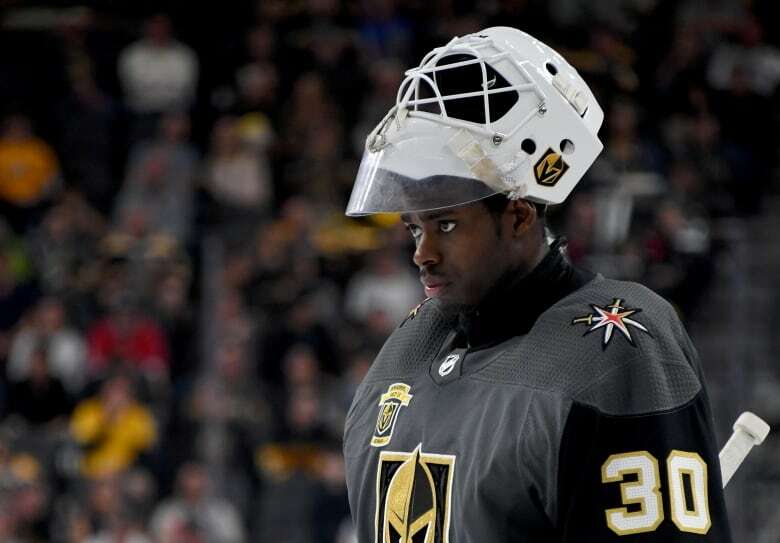 But his younger brother Malcolm, a goalie for the Vegas Golden Knights, is also fighting for his place at the top of the NHL as his team takes on the San Jose Sharks. For the Subbans, that means two different playoff series in the family this year. They're not the first brothers to play in the NHL. There have been many over the years: the Sutters, the Staals and the Niedermayers. But having two sons vying to win the same NHL conference title is a lot to juggle. 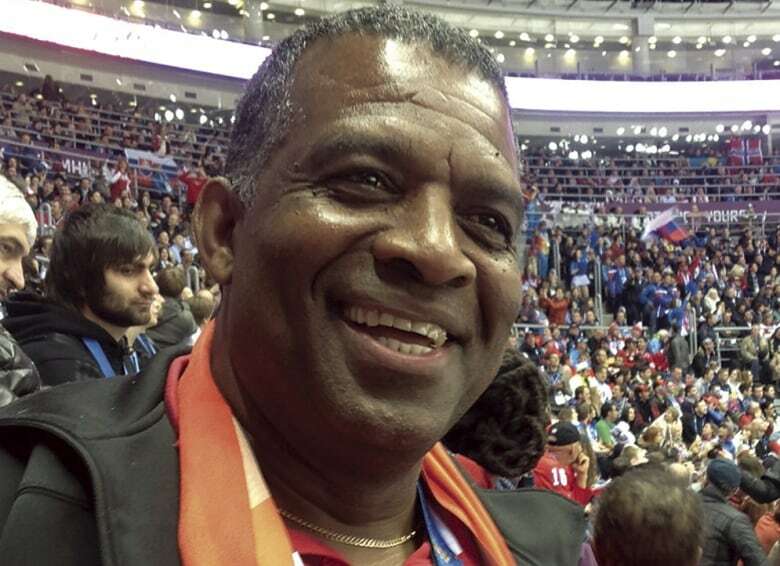 Canadian hockey dad Karl Subban — who co-authored the 2017 book How We Did It: The Subban Plan For Success In Hockey, School And Life — spoke with Day 6 host Brent Bambury from his native Jamaica. Brent Bambury: What is the more dominant emotion for you right now, excitement or stress? Karl Subban: It has to be excitement, because when I'm able to watch P.K. and his team, and Malcolm and his team, you know the scoreboard doesn't always matter. Of course I want them always to win, but you can bet there'll be a smile on my face the entire time watching them. Well, it's great that both series matters to you equally. But in this series their games are played on different nights. How do you decide who to watch when P.K. and Malcolm play on the same day? Thank God for technology. I'm able to watch two games at the same time. I can have one on my iPad and one on my phone and it's like double the fun. Are you planning to stay in Jamaica through the end ... until the Stanley Cup is awarded? No, no, no. It's a short visit for me. You know, I'm in my 60th year. I've always had a bucket list of things to do, but it's really special this year. May is crab season in Jamaica. So I'm here only for six days. I'm going to pray it rains. I'm praying for thunder and lightning — so the crabs will run. And I will chase them and catch them and cook them and eat them, and I'll be all ready for more playoff action when I return. How old were you when you emigrated to Canada? So in the first part of your life in Jamaica, what did you know about hockey? I did not know a whole lot about hockey. And the only thing that came close to hockey was the ice we used to purchase to cool our drinks and to preserve our food. I had no idea. We have a fruit here that we cook and eat — it's called ackee. So that's probably the second closest thing to hockey that I experienced in Jamaica. Well, what made you love hockey? Wow. Well, you know what? I loved it because it really helped my transition into a new culture. I came at a very tender age. And at that age you're sensitive about how you look and how you sound speaking another language. But it was hockey that was the bridge. And that's why I love it so much today, because I experienced the power of it. Tell me what it was like for you in December, when P.K. and Malcolm — on the Preds and the Knights — played against each other for the first time ever in the NHL. What was that like? I felt like the luckiest person in the world. I felt that way and I know my wife did — our entire family did. And you know what, they say it takes a village to raise a child and our village is very large. There's so many people who are part of our story. That's what makes our story so special. And one other person I know who was smiling that night was George Burnett, who coached the boys in Belleville. He drafted all three of my boys and he's a part of this story. And I know that he had a lot of satisfaction that night seeing the boys, just as much as I felt. Well it was a terrific game as well. The Knights won but there was a shoot-out, right? Yes. And you know in shoot-outs Malcolm's performance lights up. Everyone who knows Malcolm knew that he was going to come out on top. And I don't know what's in him, because I didn't put it there. But there's something in him that comes out during that shoot-out. You know, some people might be nervous. He has a big smile on his face and he's got his eyes wide open and I'm sure he's saying to himself: 'Bring it on 'cause I'm ready!' That's Malcolm. Malcolm says you didn't want him to be a goalie at first. Has he proven you wrong? In 2003 the Niedermayer brothers, Rob and Scott, faced each other in the Stanley Cup Final. If P.K. and Malcolm end up in the conference final, what are you going to do? Oh geez. You know what, I'm going to sit with my wife Maria and have her take me through it — because she has nerves of steel. I don't know. If it does happen I'll be so happy for both teams. I'll be really happy for Malcolm. And you know what, I'll probably shed a tear or two. Because that's the thing about parenting, sometimes you cry because you're sad, and sometimes you'll shed tears because you're so happy. And I wouldn't be shedding tears that night because I'm sad. I'd be shedding some tears because I'm so happy. 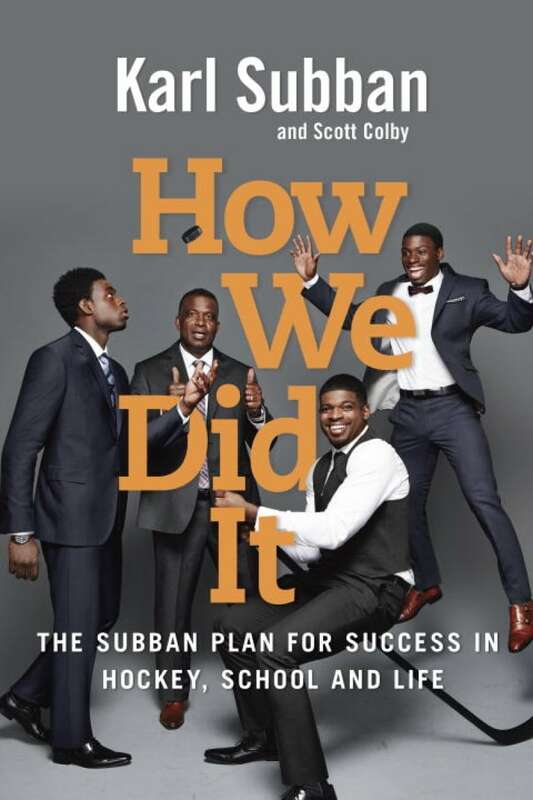 Last fall you wrote How We Did It: The Subban Plan For Success In Hockey, School And Life. You released the book and now you have two sons in the Stanley Cup playoffs. What do you want more: Do you want a Stanley Cup in the family, or do you want to get buckets of crabs this week? You know what, I'm here and I want to get the buckets of crabs. But there's no reason why I can't have my crab and also have a Stanley Cup. Crabs and Cup! Crabs and Cup! 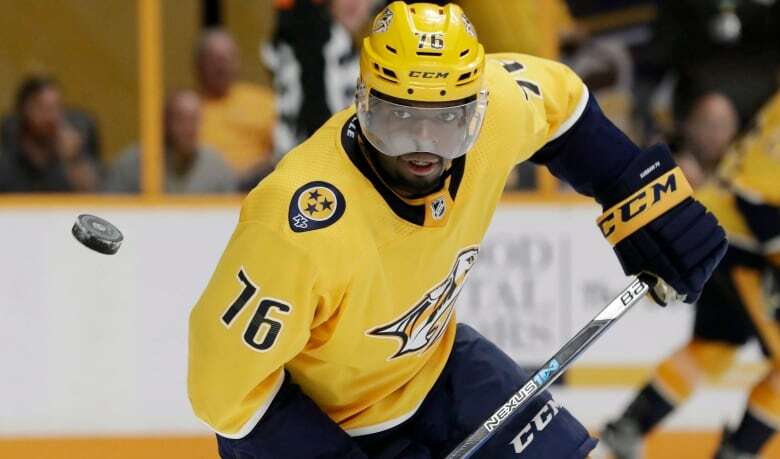 To hear the full interview with Karl Subban, download our podcast or click the 'Listen' button at the top of this page.